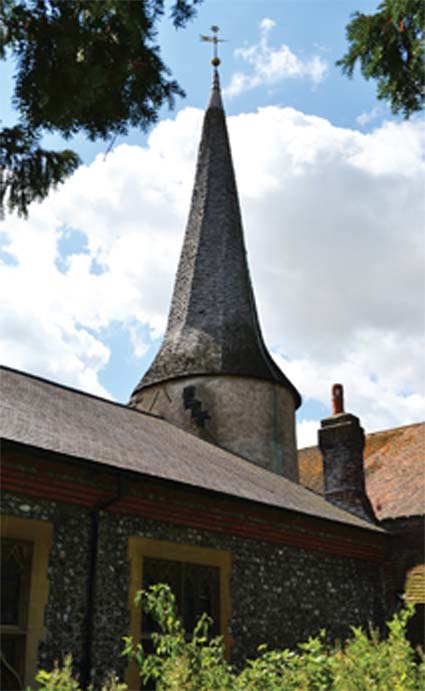 The flint tower, now pebble dashed, dates from the 13th century and is surmounted by a shingled spire. It is one of only three round towers in Sussex, with two others located down the River Ouse at Southease and Piddinghoe. The tower and the adjacent west wall are all that remain of the original church building.